This week: Music Meets Creativity with special guest — Graphic Design’s DJ — Steve (RDQlus) Gordon. Rarely do you see the designer today without their iPod (or, if you’re one of those people, your Zune) plugged in, filling the gaps in their creativity with their music. While we spend the first few minutes being a little Radiohead-centric, Steve, Donovan and I eventually discuss the parallels of creation great design to creating great music, what music is great for design and what music can kill a creative mood, and why the Halo 3 soundtrack is actually awesome and Donovan needs to shut up about defunct 80’s rock. 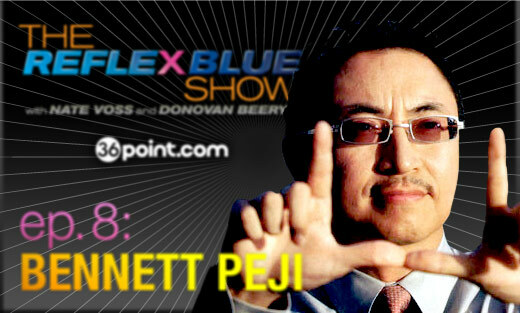 Enjoy The Reflex Blue Show Episode 9 with a cold one and your favorite playlist. 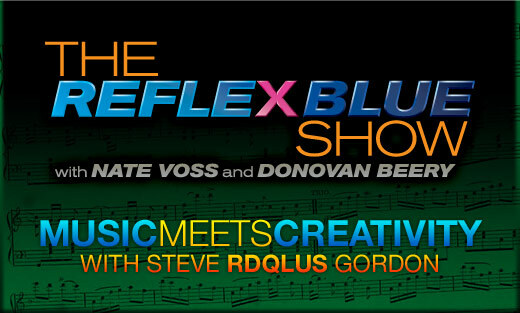 Download The Reflex Blue Show with Nate Voss and Donovan Beery, Episode 9 (22meg) or click here to subscribe directly from the iTunes Music Store.